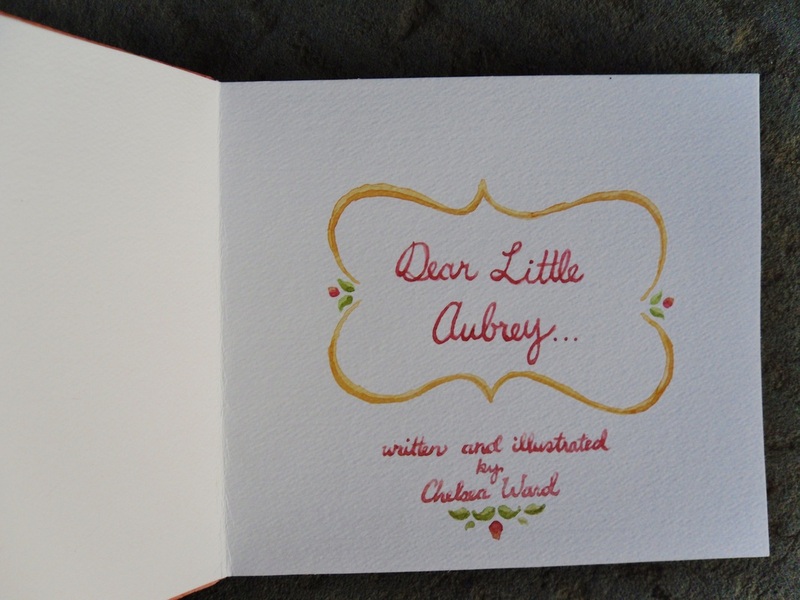 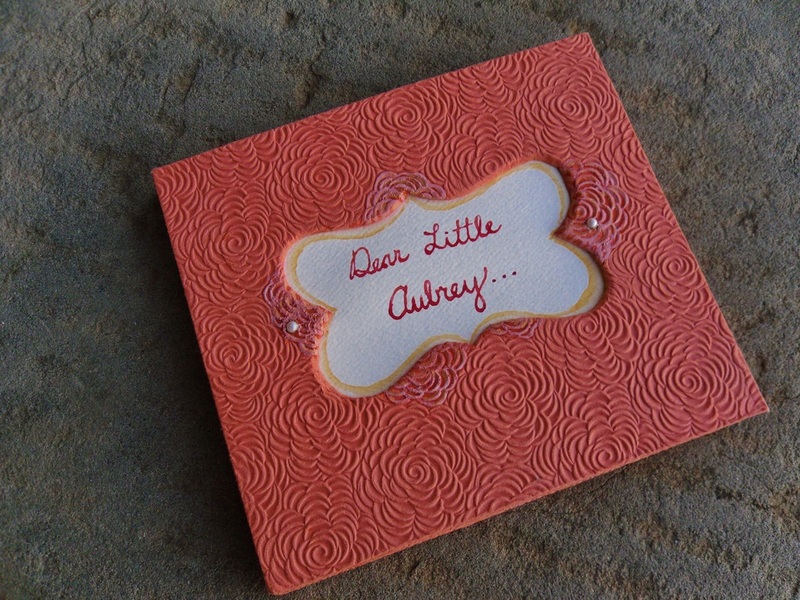 This sweet little book was commissioned for a woman in Nova Scotia for her niece, Aubrey. The book is bound with archival paper and the images are watercolored. 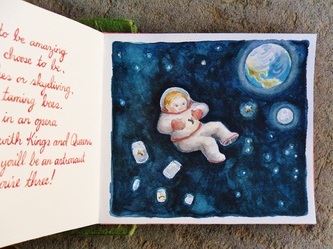 The cover paper was found at a hardware store in Italy. 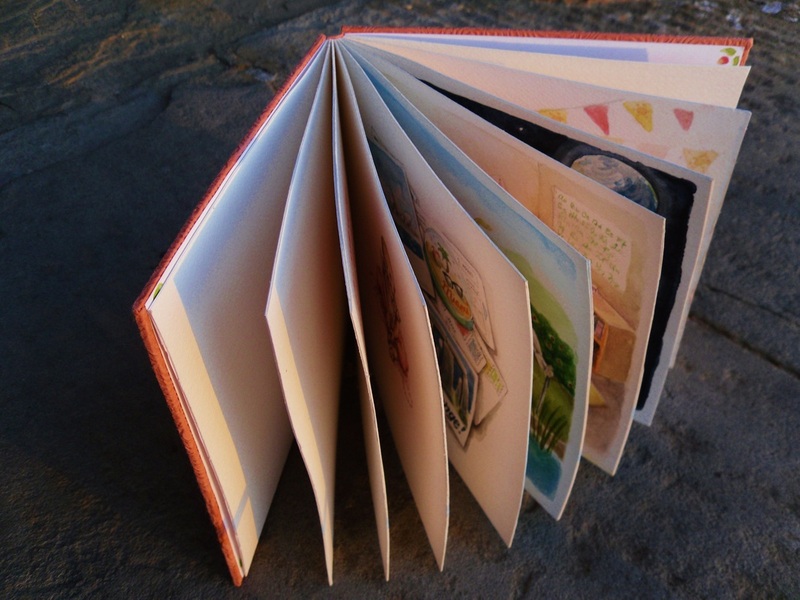 The front cover has a window cut-out and has pearl buttons embedded into it.